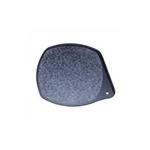 Workrite Ergonomics Corner Rectangle Platform Accessory, Gray converts 90° corners and corners with keyboard cutouts to usable diagonal corners. 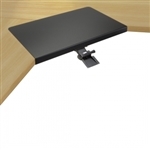 Workrite Ergonomics Corner Rectangle Platform Accessory, Black converts 90° corners and corners with keyboard cutouts to usable diagonal corners. 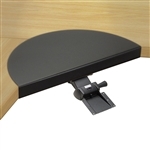 Workrite Ergonomics Corner Diagonal for 90º converts 90º & curved corners (up to 9″) to usable work areas. 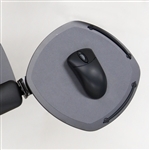 Workrite Ergonomics Positive Tilt Lockout Kit Accessory for Keyboard Platforms.